The government is to suspend authorisation for temporary advertisements on city pavements in Bordeaux and Nantes, after opposition from the cities themselves. 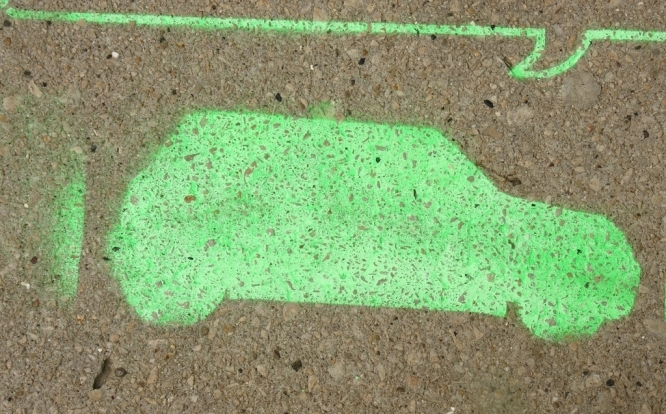 The decree was introduced on December 22, and would have allowed Lyon, Bordeaux and Nantes to have temporary adverts painted or stuck onto pavements (using biodegradable, eco-friendly chalk and other similar materials), as long as they disappeared within 15 days, were less than 2.50m² in size, and at least 80m apart. The advert “experiment” was due to take place over the next 18 months, with plans put in place to monitor if there were more falls, accidents, or other issues around the advert sites. The idea came from the USA, where it is reportedly common for companies to advertise on pavements in a bid to capture views from pedestrians - many of whom may also be looking downwards due to being on their smartphones or other devices. Yet, the decree was met with fierce opposition from the French cities in question, with Bordeaux and Nantes alleging that the city ministers had not been consulted on the introduction, that it would lead to “visual pollution”, and that it went directly against their desire to “reduce the density of [advert] signs in public spaces”. Bordeaux banned the practice within the radius of its Unesco-protected area, while Nantes said it would prohibit any “markings on the ground”. This week, Prime Minister Edouard Philippe revoked the decree for Bordeaux and Nantes, admitting that there had not been “sufficient” consultation with the cities before legalisation. A statement from the PM’s official residence, Matignon, said: “The adoption of this decree had not been preceded by sufficient consultation with the agglomerations concerned and two of them, Bordeaux and Nantes, indicated - after the adoption of the text - that they did not wish to take part in this experiment. Lyon still has authorisation for the adverts, and has recently announced the launch of a careful experiment into their use.